A wonderful commercial opportunity available in the core of Wolfville with lots of parking and fabulous views. Offering over 4000 Sq.Ft. of main level finished area, this building includes an upper level presently used as a seasonal accommodations with own entrance and office area. The open layout of the main area and the views from the rear to the dyke lands make it suitable for many uses including (but not limited to) a boutique inn, tea room, retail, office or combination. The lower level has its own separate side entrance that has access to over 2100 Sq.Ft of dry storage or other possibilities. Ideally located near Grande Pre, a world heritage Unesco site. 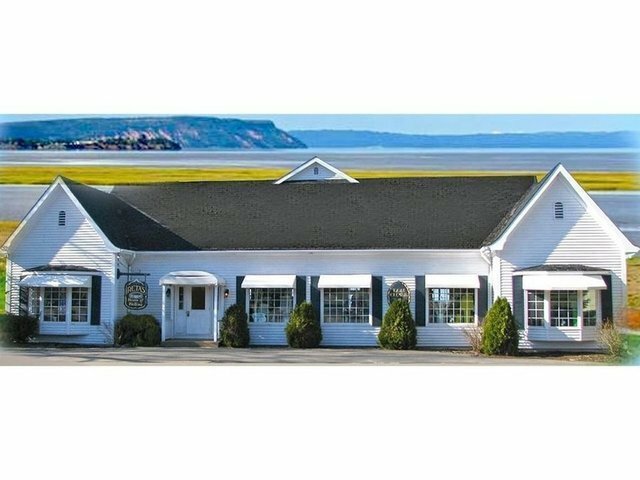 The views of Cape Blomidon and the Minas Basin are added bonuses as to why you should situate your business here.